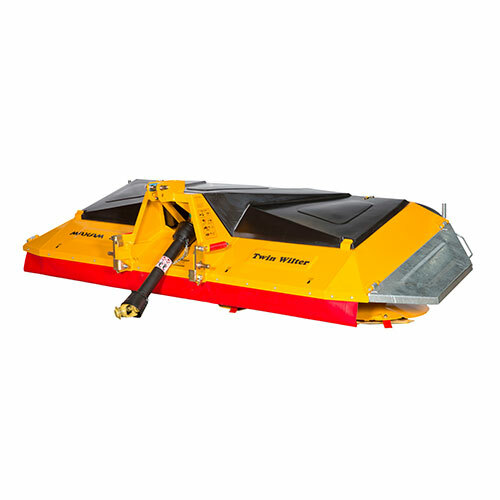 The price above includes the Twin Wilter spreaders as shown in the photo. The Maxam 3300IV is an amazingly compact mower for a 3.3m cutting width, which makes it easy and safe to operate even in undulating terrain. Just like the 2500IV, the 3300IV will not falter when met with heavy crops or difficult cutting such as brown top or Lucerne. 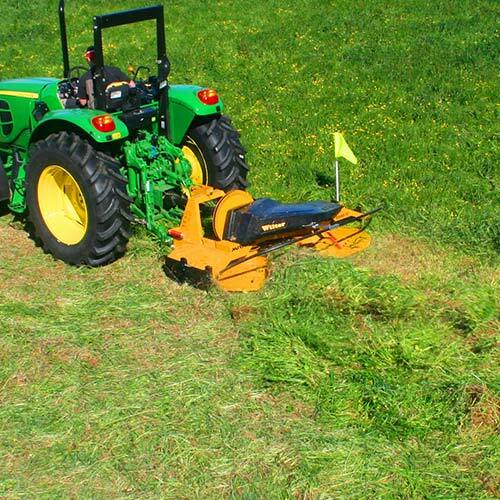 The versatility of this mower is unrivaled. 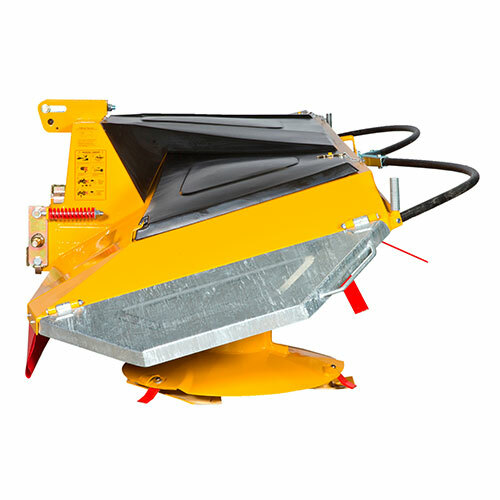 The beauty of the MAXAM 3300IV is that you can knock out the topping jobs in unbelievably short time which is so important on busy dairy farms. Too often the toppings jobs are left to another day so the fresh regrowth is not as quick. The 3300IV high speed cutting blades leave the grass cleanly cut, and the fully spread toppings decompose quickly, enriching the soil. The cutting height can be fine tuned to suit the required DM/Ha, which will change throughout a normal season. 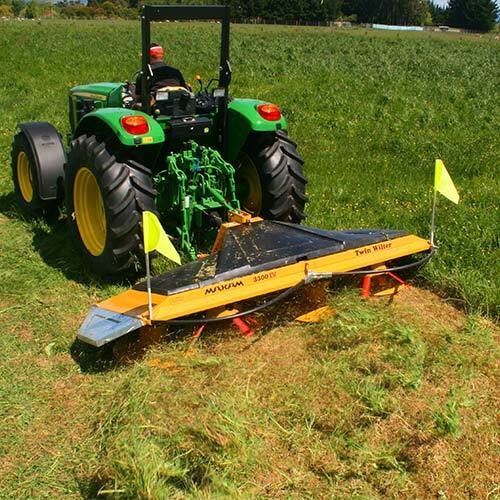 Post Grazing residual height of the pasture is critical to its recovery and the Maxam mower has a mixture of blade heights and topping skids to pick from. 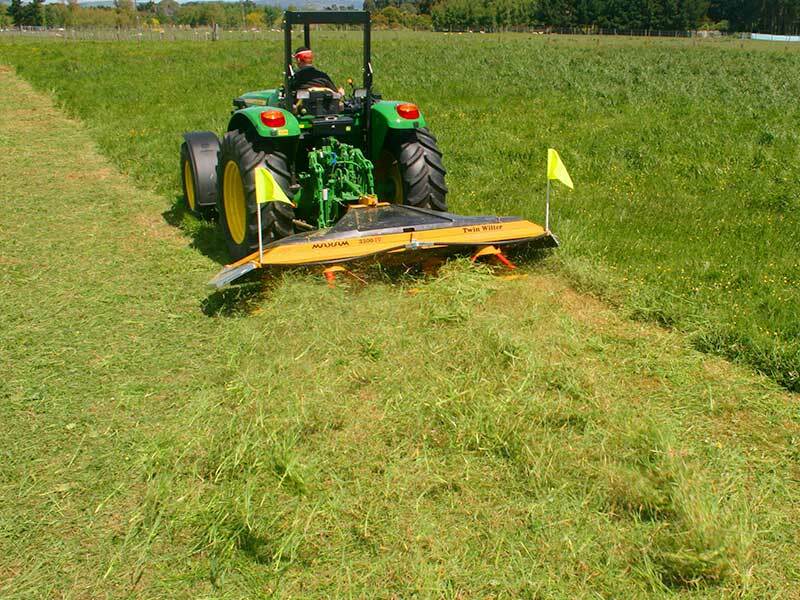 The Maxam mower range is therefore an important part of a farmers pasture management system. Another key part of the Maxam 3300IV mower success is the way the four skids under the cutting drums stop any scalping – even when cutting low to the ground. Traditional toppers bridge across their outside skids, especially if the cutting width is over about 1.5m. Mostly the cutting height must be adjusted up until this does not happen and this is commonly about 75 to 100mm which is too high for effective results. 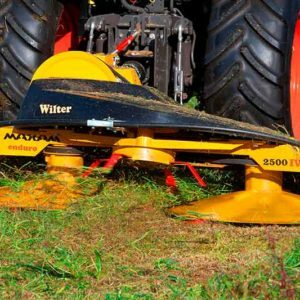 Disc mowers are used for topping and whilst they don’t scalp, they tend to overheat as there isn’t enough grass flowing over the bar to provide effective cooling. They are also much more complex and need regular servicing. Being out the side of the tractor makes them more susceptible to hitting fences, troughs and other damage. 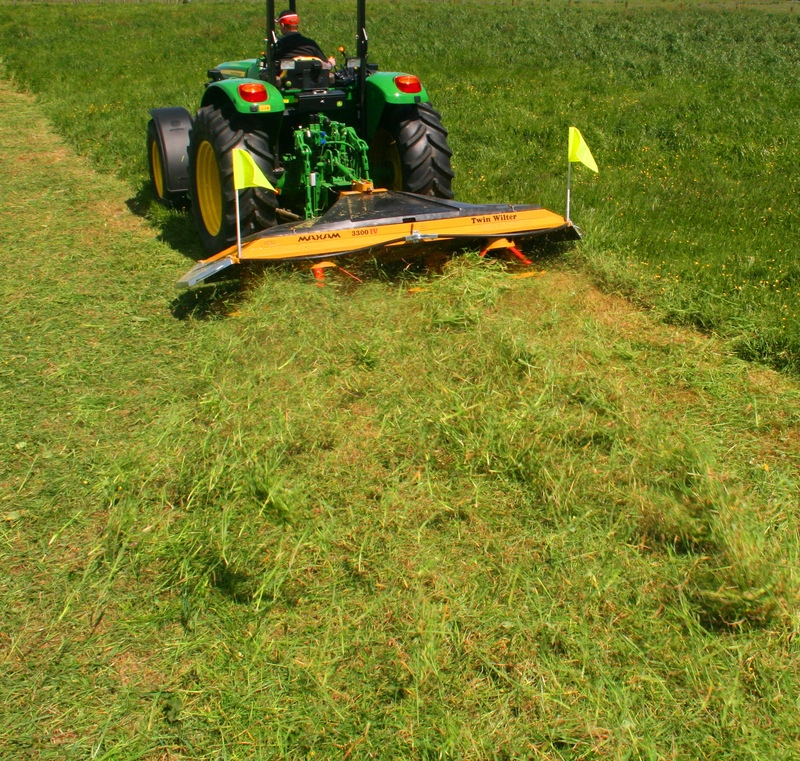 The 3300IV MAXAM mower is an extremely compact unit, mounting directly behind the tractor making them easy to use and safe, even on steep country. The rugged belt drive and heavy duty cutting drums are at the heart of the success of this robust and versatile multipurpose mower. The 3300IV MAXAM + Wilter has amazing cut and spread capabilities. 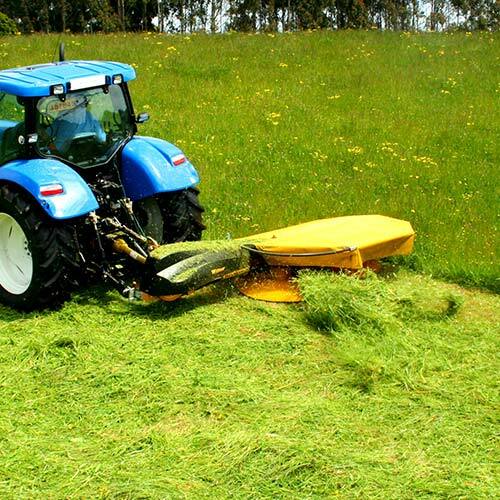 All normal farm mowing is tackled with ease with outstanding results. 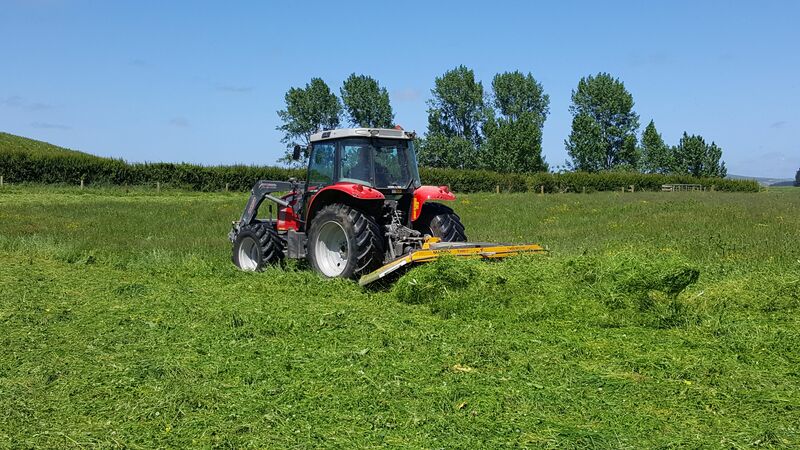 Whether you are mowing for silage, baleage or hay, or just topping some Californian or Scotch thistles, you know that the 3300IV will not falter. 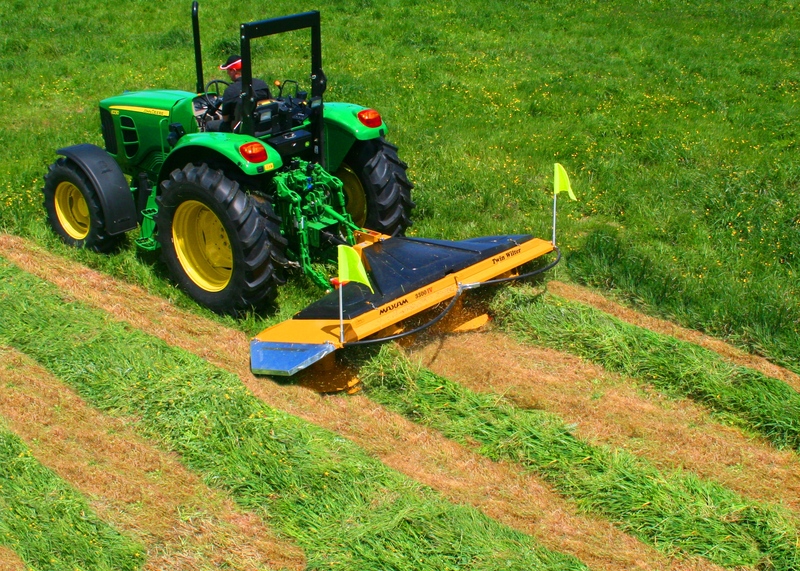 The 3300IV can be used on much smaller tractors than other mowers of similar cut width as they mount close to the tractor and the weight is evenly distributed. This is a real advantage, especially on steeper farms. 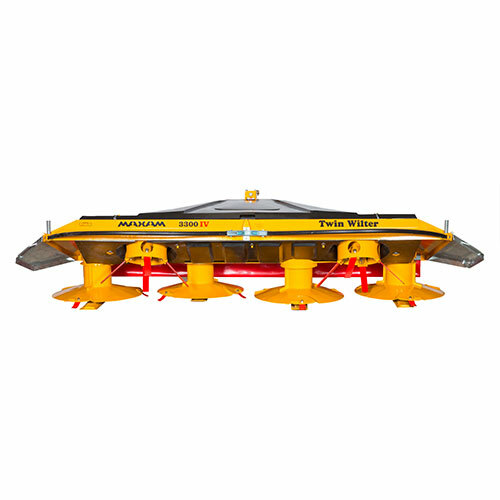 The 3300IV has the latest spring loaded top link system which helps the mower to closely follow all ground contours, creating a flat clean cut in all conditions. This system also transfers weight off the front of the mower so it glides easily over obstacles. 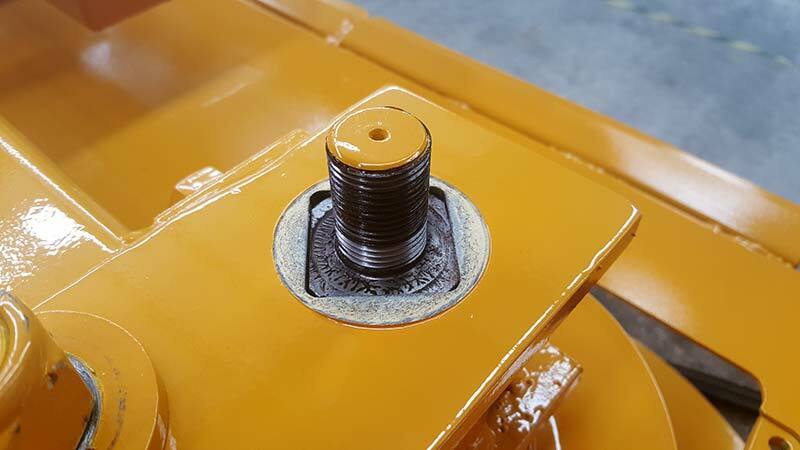 The red springs on the lower linkage are part of the shock absorbing system which helps prevent damage to the mower in the event of impact with stumps and other objects. A PVC skirt is fitted to the front of the 3300IV to contain all debris, which adds to the overall safety of the machine. 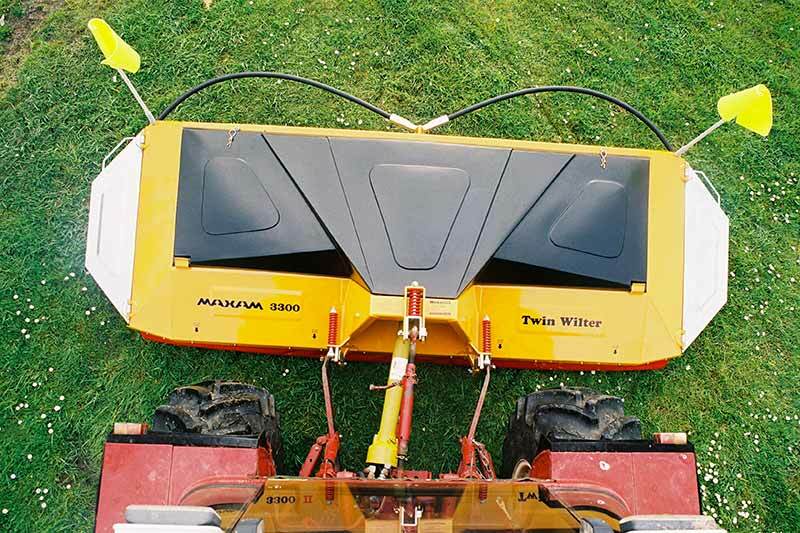 As shown in the photo, the 3300IV creates two tidy windrows when the Wilter tynes are removed. 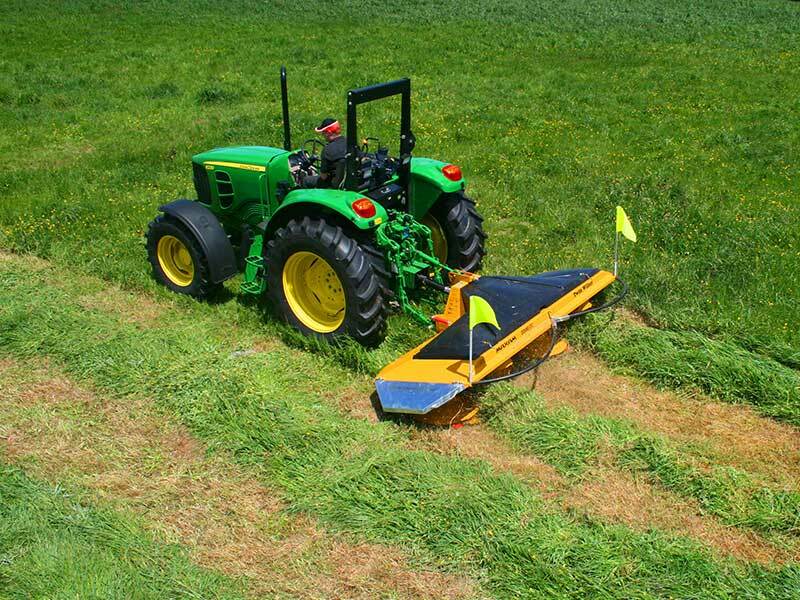 This is ideal for cutting the grass before the cows graze it, with minimal waste from trampling. Other applications include the odd occasion when the grass would dry too fast if it was fully spread. 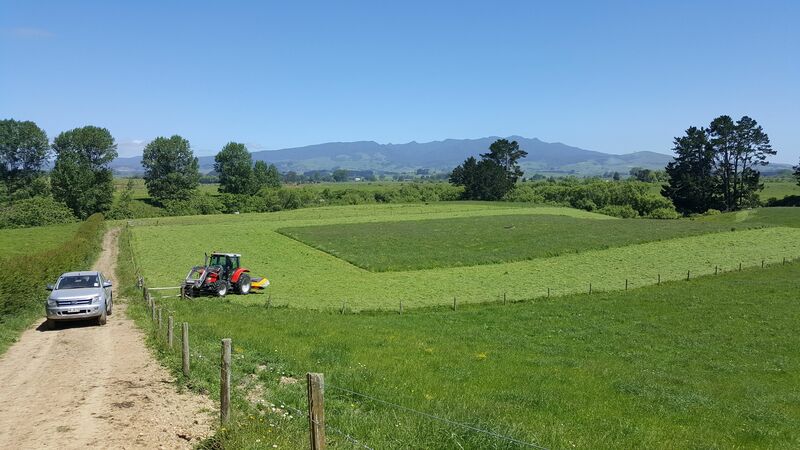 You will notice that there isn’t any obstructions outside the cutting drums which means the mower will not block or snag on crop that is already cut, even when finishing off the paddock in the middle or running across other windrows. A pleasure to use for sure! The main drum spindle is now located by a square milled into the top and clamped, rather than having the bolts through the shaft as on earlier models. They are a pair of slipper style skids that clip on underneath the outside two skids under the rotors and secured by a bolt. Cutting height is raised 40mm. The 3300 dual weight transfer system uses two heavy duty compression springs to transfer a lot of the weight of the mower onto the tractor. 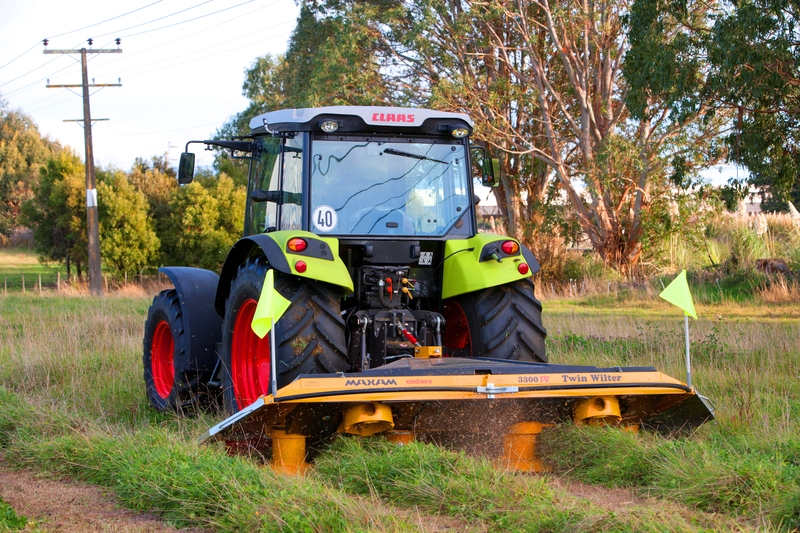 The mower then rides very lightly on the ground, which is ideal for abrasive soil types and stony paddocks. 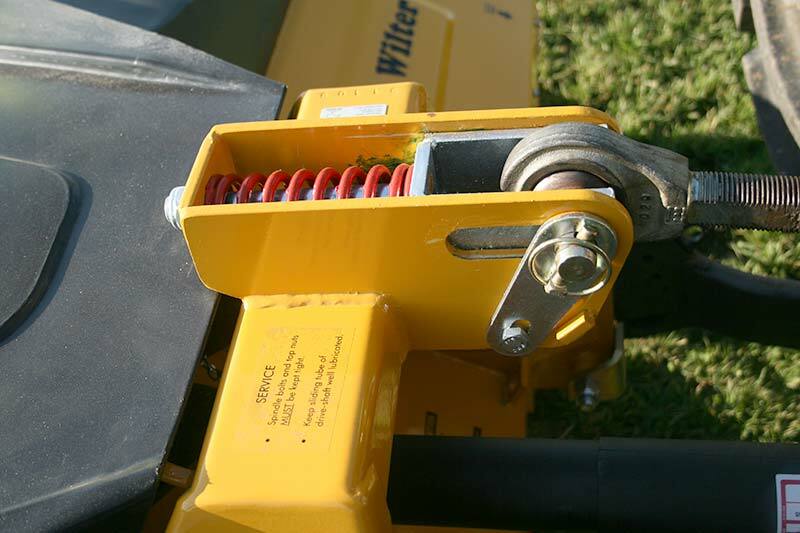 The spring system connects to the front of the top link on the tractor, so when the mower is lowered to the ground the springs compress. The top link must be in the locked position and shortened, otherwise the front of the mower will lift off the ground.